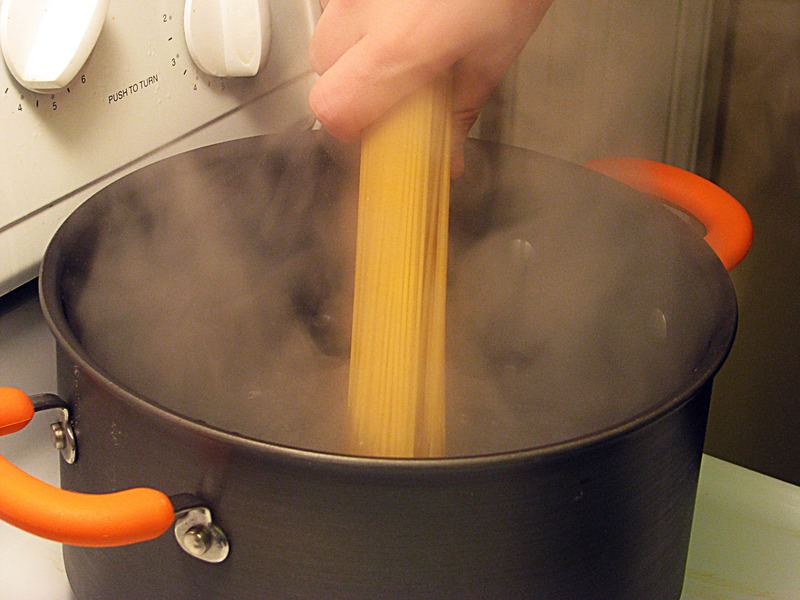 Boil lots of water and add at least one tablespoon of salt to it, then cook whatever long spaghetti you’d like until it’s done – you can handle that, right? Great. 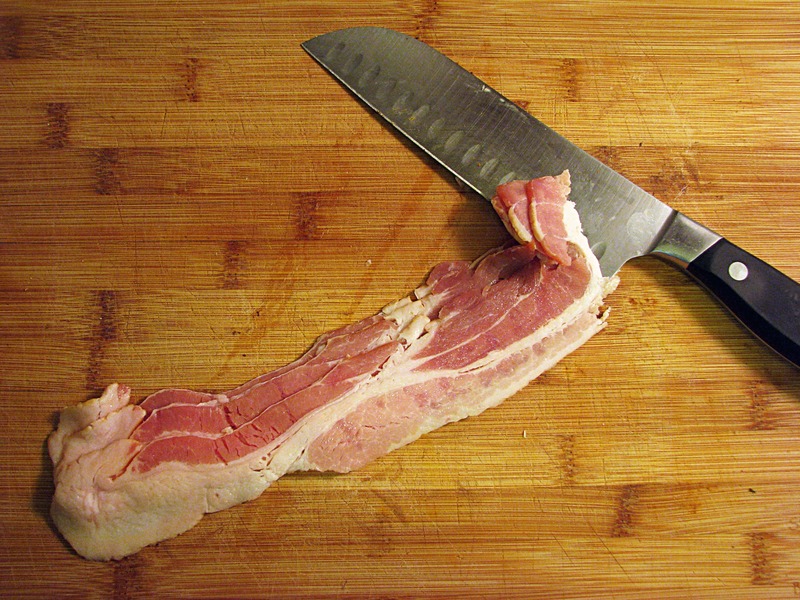 Heat a pan to medium heat, and slice the bacon into small strips. 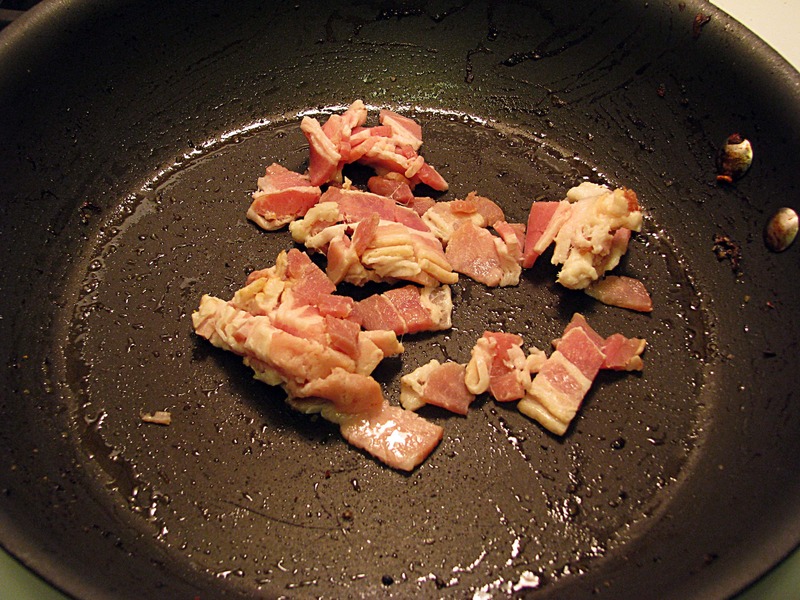 Add the bacon to the pan and stir for about 5 minutes until the bacon starts to get crispy. Yum. 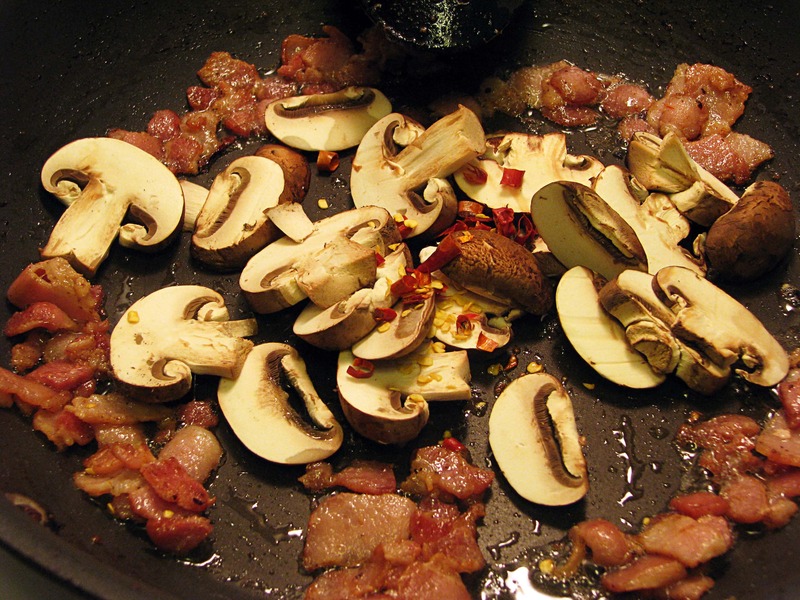 When the bacon is allllllmost (it’s going to keep cooking) as crispy as you’d like it to be, add the crushed red pepper and the sliced mushrooms to the pan. You could use a fresh chili pepper too, if you have one! That’d be, like, totally delicious. I didn’t have one. Stir the mushrooms around for 5 more minutes until they turn brown. 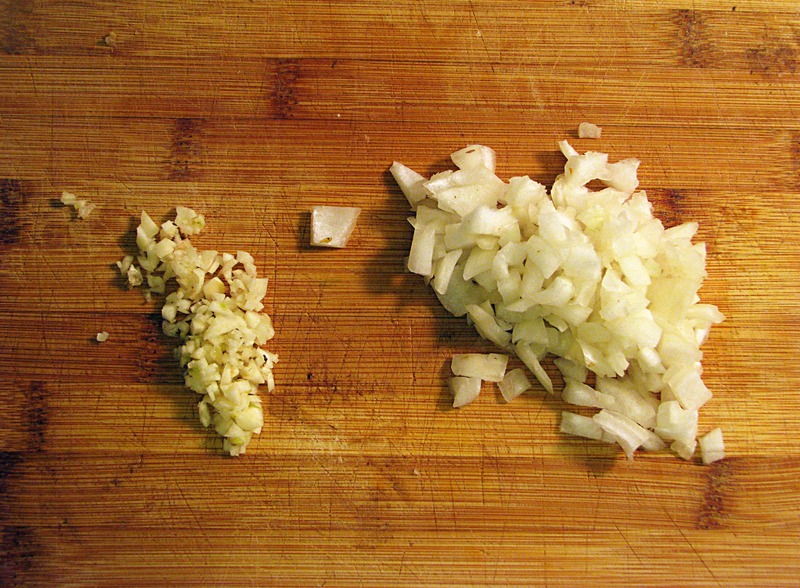 While that’s happening, chop the onion and mince the garlic. 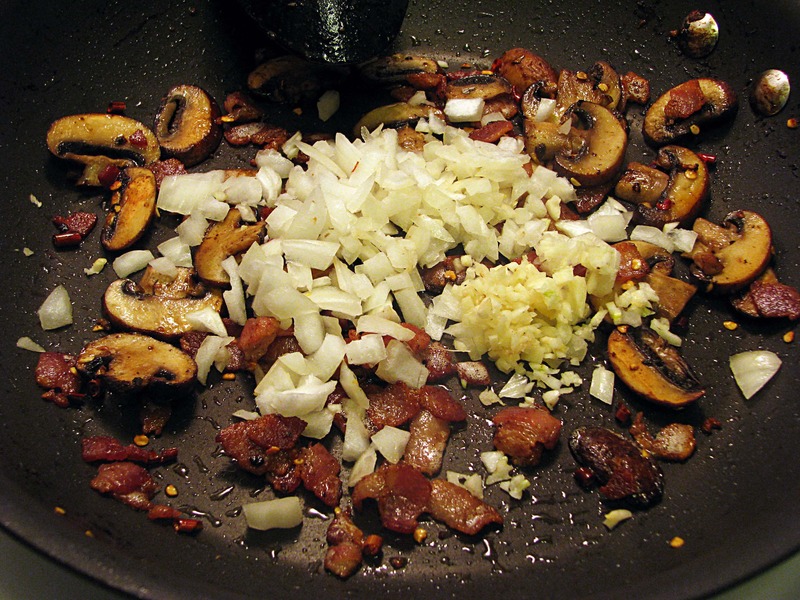 When the bacon is crisp and the mushroom are brown, add the onions, garlic, and a sprinkle of salt – not too much! Perfect. 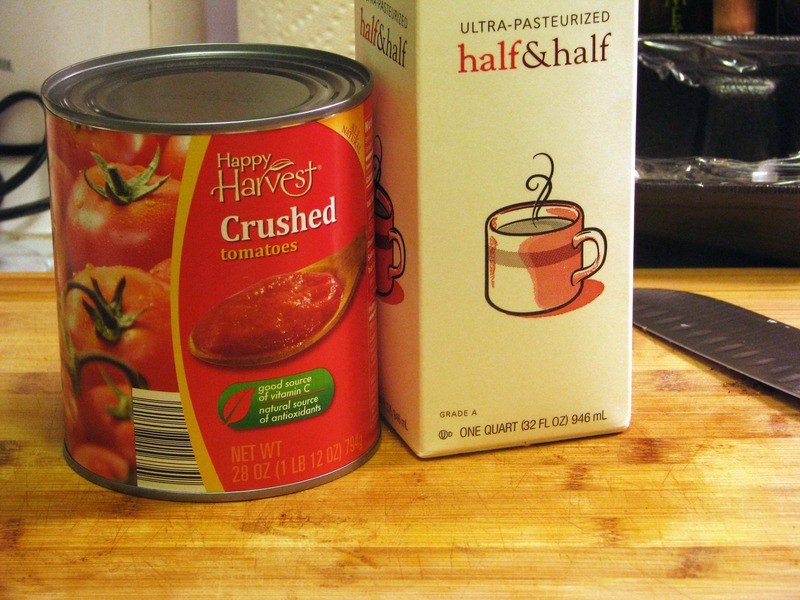 Let that cook for a few minutes, and grab the tomatoes and half and half. Nice. Seriously, whatever kind of tomatoes you like or have is great here! 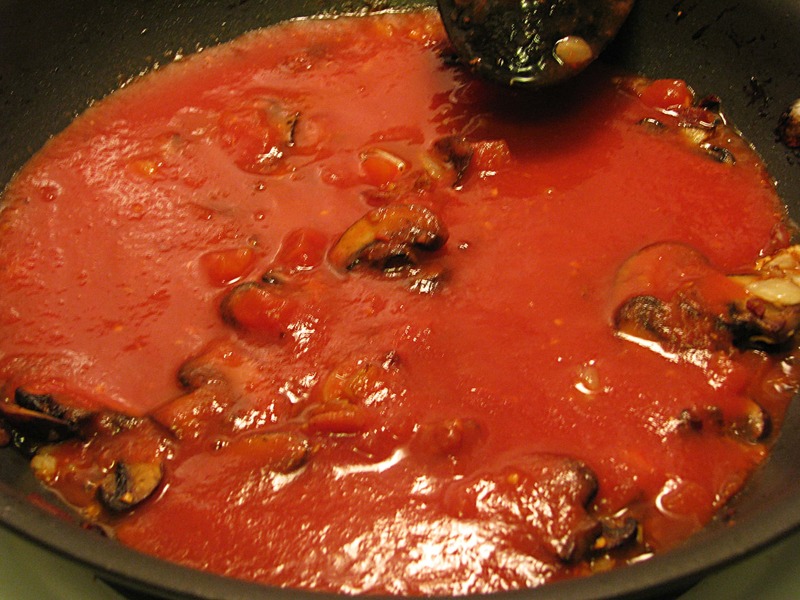 I add 2/3 can first and add more if I want more sauce – see how you feel at first and make an executive decision about how many tomatoes you want in your sauce. 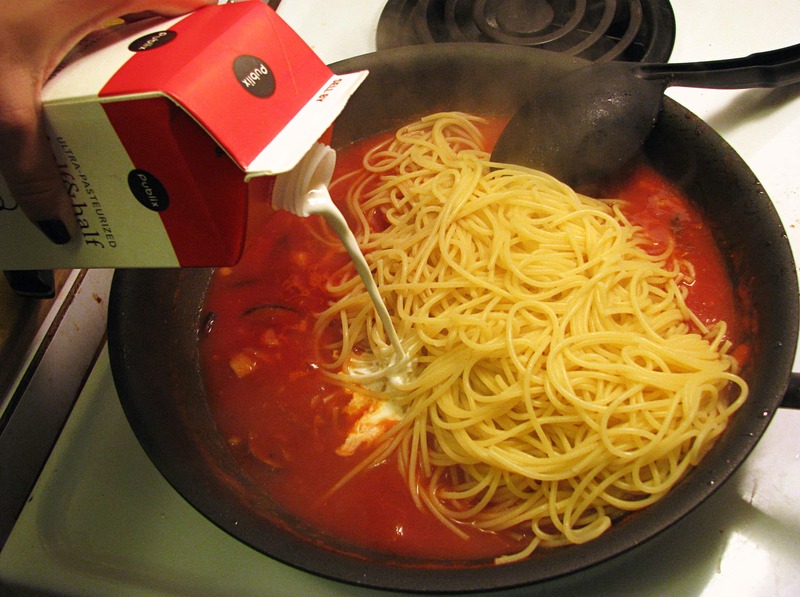 Stir the tomatoes around for a minute, then add the cooked pasta and half and half. 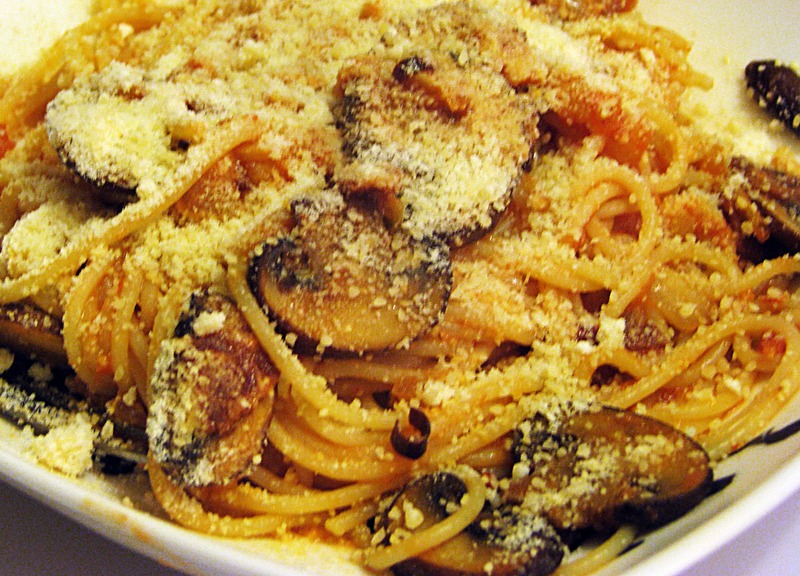 Just like with the tomatoes, add just as much pasta as you think you’ll need, then keep adding until the sauce/pasta ratio looks right to you. Use tongs to toss everything all together and THAT’S IT! Easy, right? 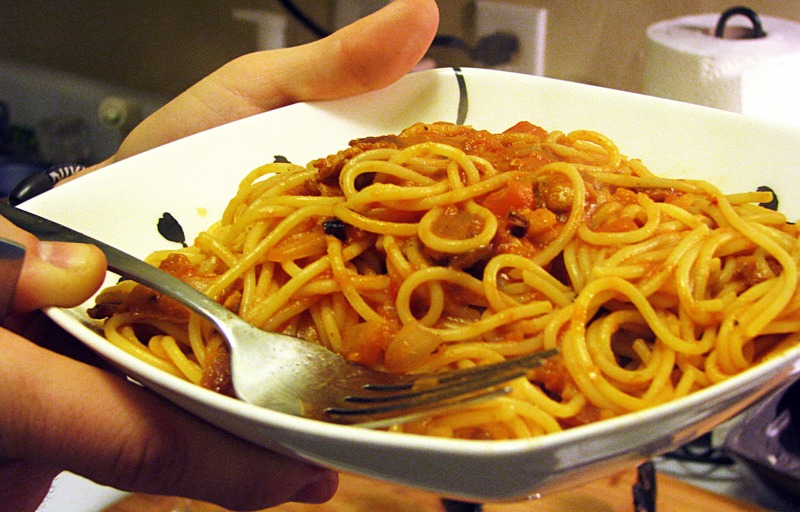 Here’s a sad naked plate of pasta. It works for me, please don’t judge. Enjoy this one guys! It’s delicious and SO easy. You’ll crave it again and again!